Unless you’ve already nabbed your tickets for UFC 152, you’re probably not a big fan of light heavyweight king Jon Jones right about now. 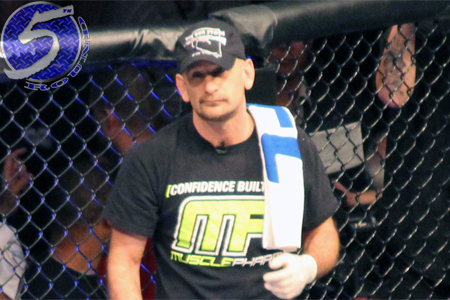 However, according to UFC president Dana White, coach Greg Jackson (Pictured) played a crucial role in influencing Jones to decline a last-second scrap against Chael Sonnen, which forced the organization to cancel their first event under White’s watch. “How about this? He says I gotta sit down and talk to my coaches,” White recalled of his conversation with Jones after informing him Sonnen had agreed to replace injured Dan Henderson at UFC 151. “His coach, Greg Jackson, says there is no way you take this fight. You don’t take this fight on eight days’ notice. It would be the biggest mistake of your entire career. We all know where the story goes from here: UFC 151 disappears like a fart in the wind and Jones now headlines UFC 152 on September 22nd against Lyoto Machida. It’s certainly not the scenario White had in mind, and he knows exactly who to blame. “I’ll go on the record saying, this guy is a [expletive] sport killer!” White said of Jackson. “This guy is from another planet. I’ve never even seen anything like it in my life. Well, Dana. Why don’t you tell us how you really feel about Greg? Mr. Jackson, if you’re nasty.